Moxon is a Vandercook whisperer and printer extraordinaire. He runs the most helpful Vandercook Press information site Vanderblog (https://vandercookpress.info). He prints under the imprint Fameorshame Press. 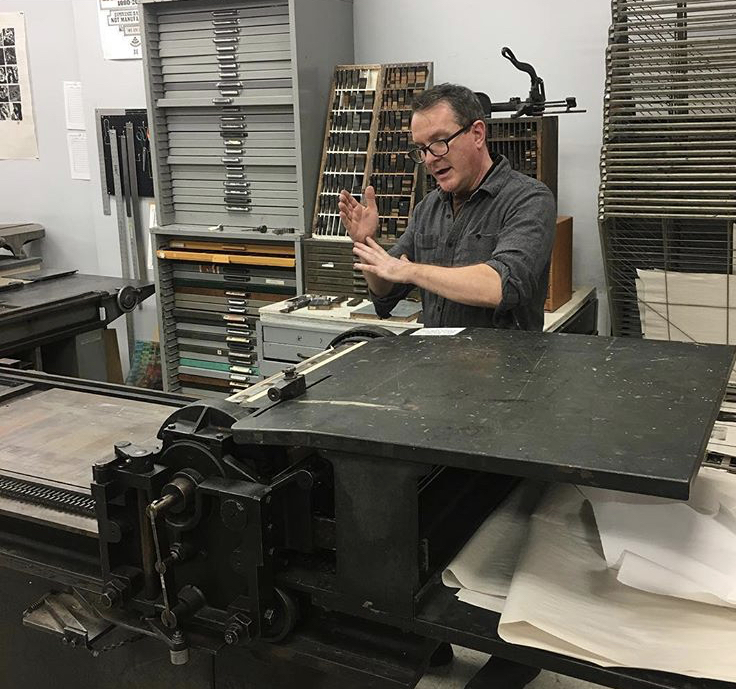 Moxon is an independent educator, author of Vandercook Presses: Maintenance, History and Resources and website editor for the American Printing History Association.